During a job offer, we are presented with a document that states all that we need to know about the job we have tried so hard to apply for. 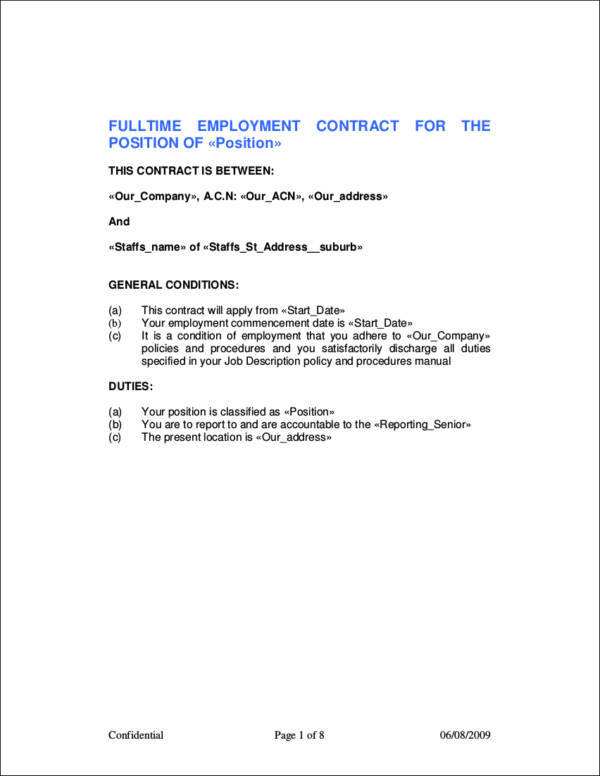 This document is called an employment contract. 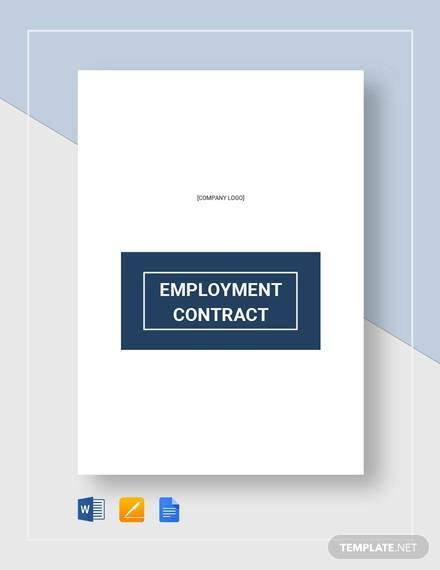 An employment contract is a legal document that provides the duties and responsibilities of a new employee as well as the duties and responsibilities of the employer. 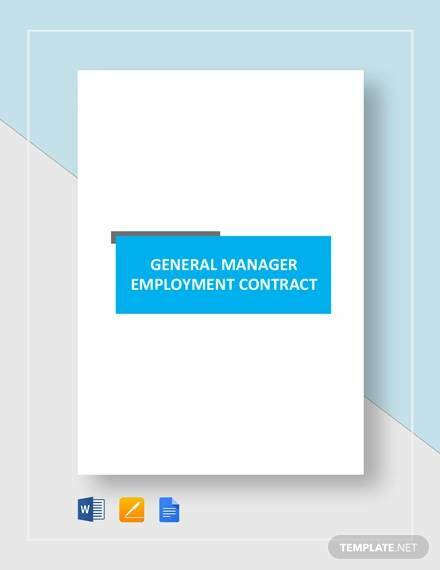 Employment contracts are used to make sure that both employer and employees are aware of their responsibilities within the organization or company. 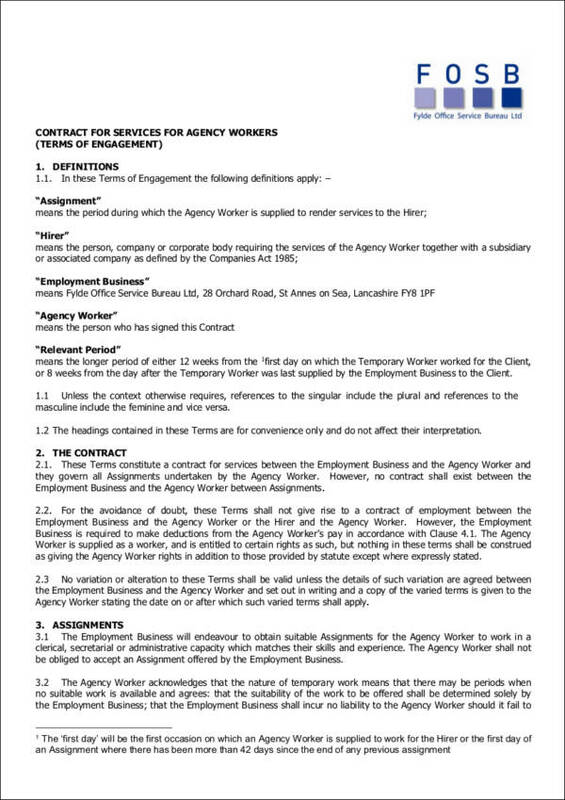 A company that makes use of an employment contract appears to be a legit company compared to those that don’t provide one. 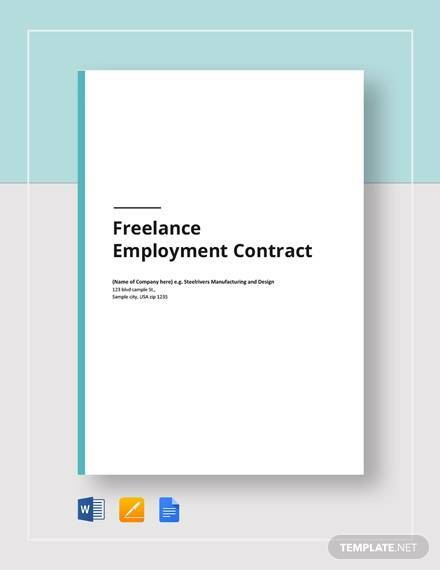 To provide you with more helpful information about employment contracts, we have gathered here sample employment contracts of the different types of contracts. You can download the samples in this article anytime you want. Since they are in PDF, you will find it easy and convenient to use them. The best part of it all is that they are for free. So what are you waiting for? Download now! 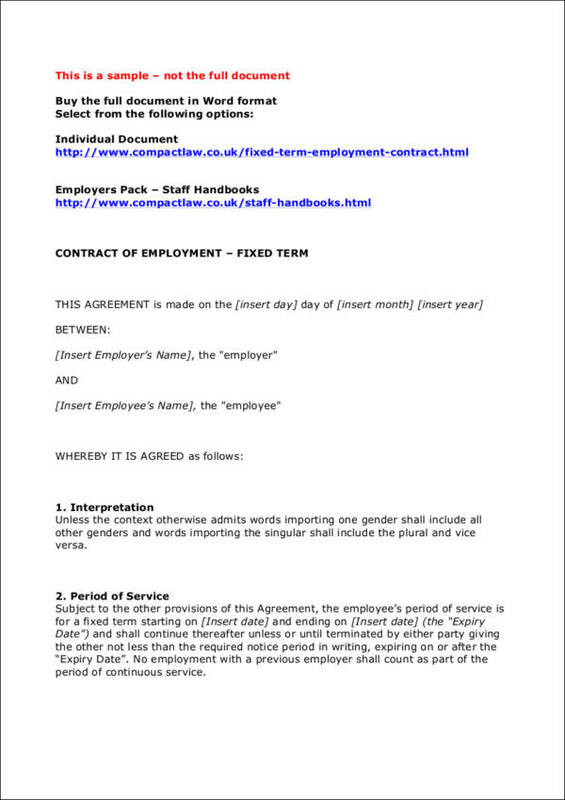 Why Is an Employment Contract Required? 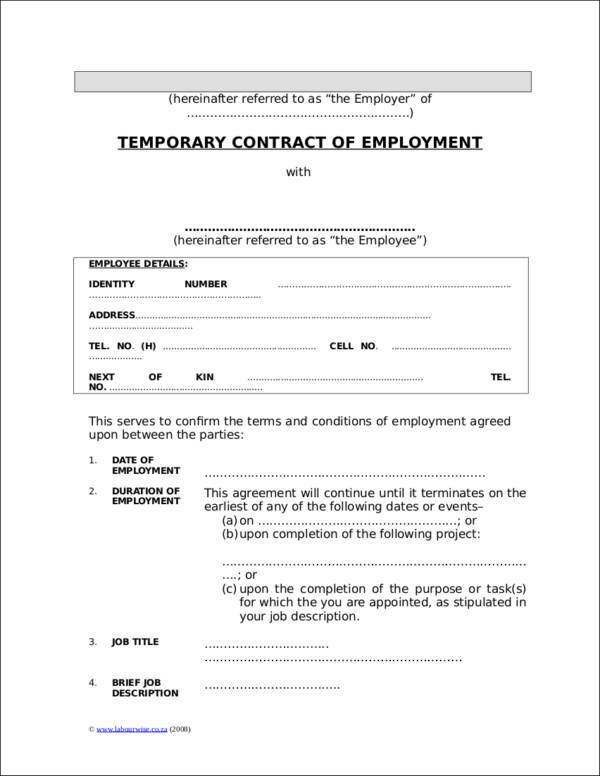 Before you start working in the company where you just got hired, you will have to sign an employment contract where you show your agreement to the given terms and conditions by affixing your signature on the document. 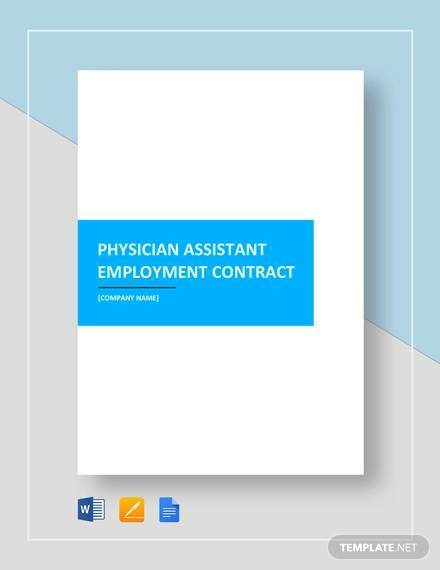 The employment contract serves as the basis of the employment relationship. 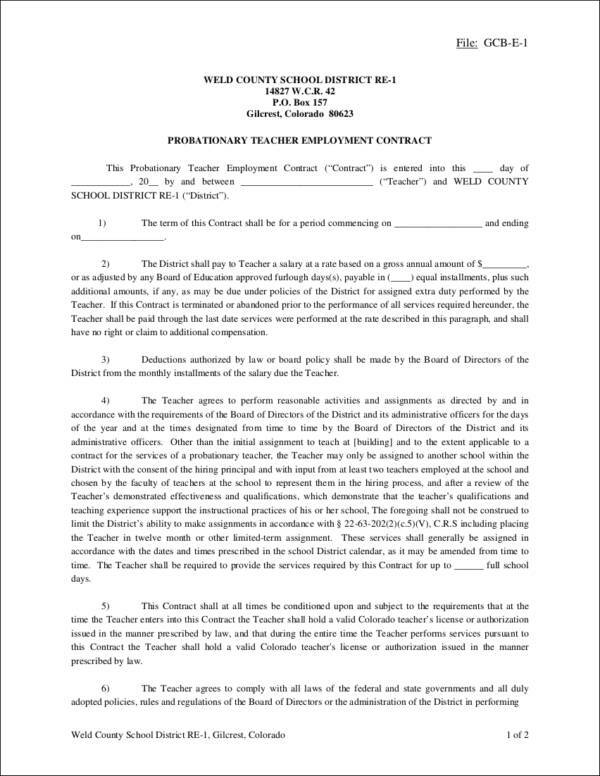 This contract is required because it binds both employer and employee to specific terms and conditions that are enforceable in the court of law. How Important Is It to Have an Employment Contract Provided? We already know that employment contracts are important, but do we really know why they are considered to be important? Some people might know, but there are still a lot who don’t. Now we wouldn’t want to miss the chance of sharing with you this important information. Below are the reasons why having an employment contract is important. Employment contracts provide employees the feeling of security and knowledge that they are working for a business that is professional. An employment contract includes obligations and the agreement about the conditions of the employment that are defined clearly and concisely. 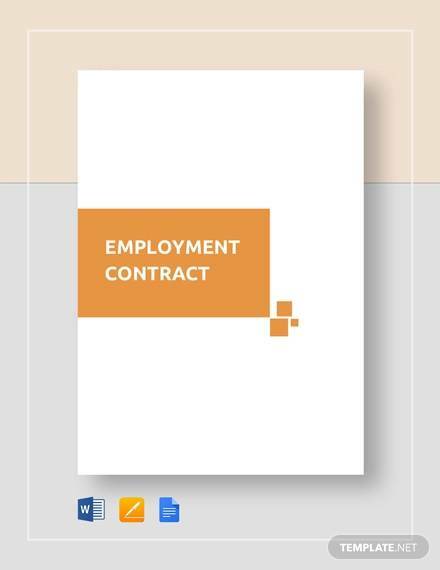 An employment contract ensures employers that their employees are made aware of their duties and responsibilities, and that they agree to the terms and conditions stated in it. 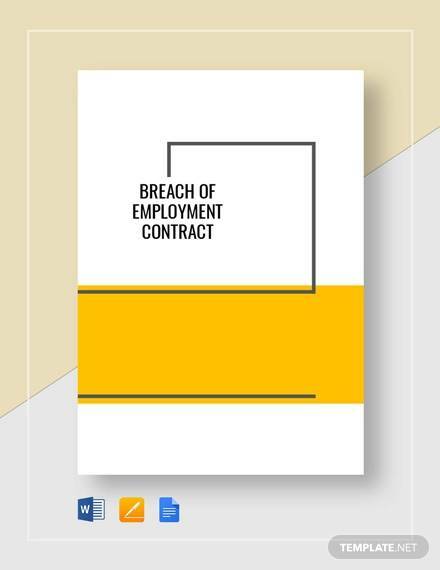 An employment contract protects a business and its clients from any potential harm or damage. Since employment contracts are legally binding, both employers and employees are bound by it. They must oblige to the terms and conditions that are covered by the contract or breach the contract and face the corresponding consequences. As a legal contract, an employment contract is enforceable in the court of law. It can be used as evidence in court if the need arises to support or go against a certain claim. An employment contract includes a confidentiality statement that protects business and trade secrets from being exposed to their competitors when employees get headhunted and leave the company for good. 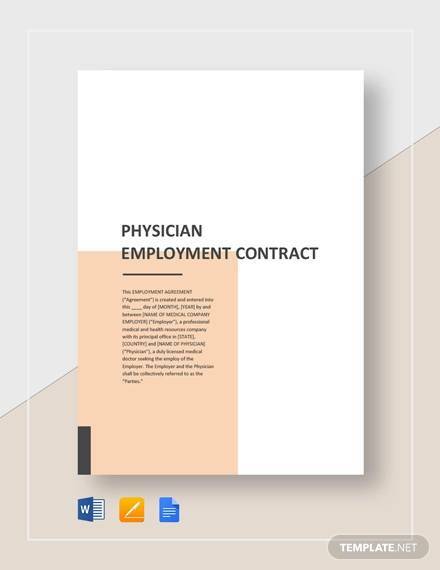 Employment contracts are mostly written and these documents serve as proof that the employer offered this to the employee, and the employee accepted the offer together with the terms and conditions that came with it. Employment contracts are enforceable in the court of law. An employment contract protects companies from losing their employees to their competitors. It specifies details, such as the type of employment, the length of the employment, the employee’s rights and benefits, the employee’s compensation, their work schedule, and a whole lot more. Although you can’t do anything after signing an employment contract, you can still use it to your advantage by knowing its importance and your rights as an employee. Now that you know the importance of having an employment contract, it’s about time that you know about the different types of employment contract that exist and are being used these days. It is important that you know what type of contract you get yourself into before you agree to one. Remember that once it’s signed, you are bound to it. 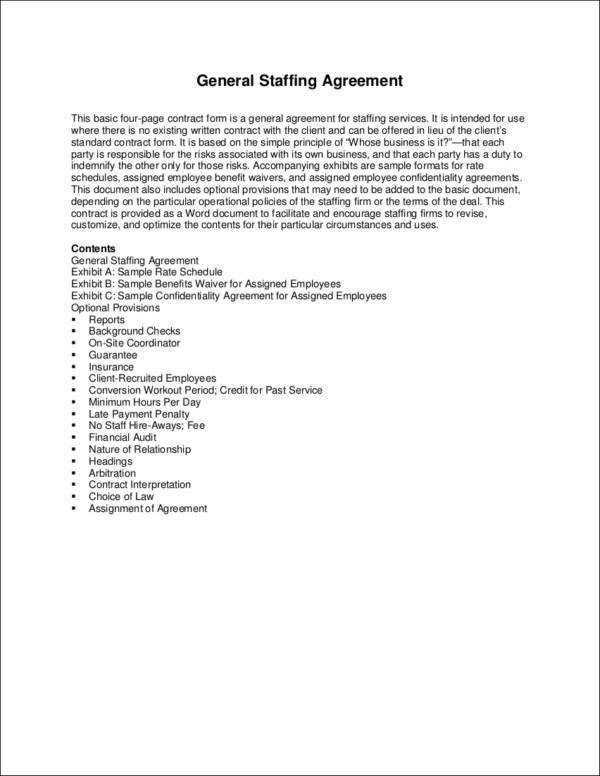 Discussed below are the six types of employment contracts. 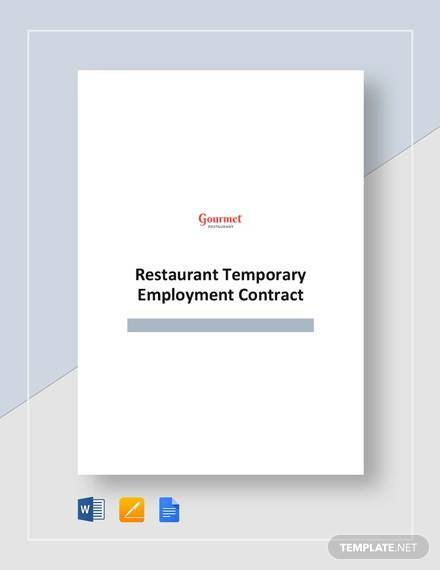 Full-Time Permanent Employment Contract – This type of employment contract is the most commonly used type. Employers rely on full-time workers a lot as they serve as the company’s cornerstone. 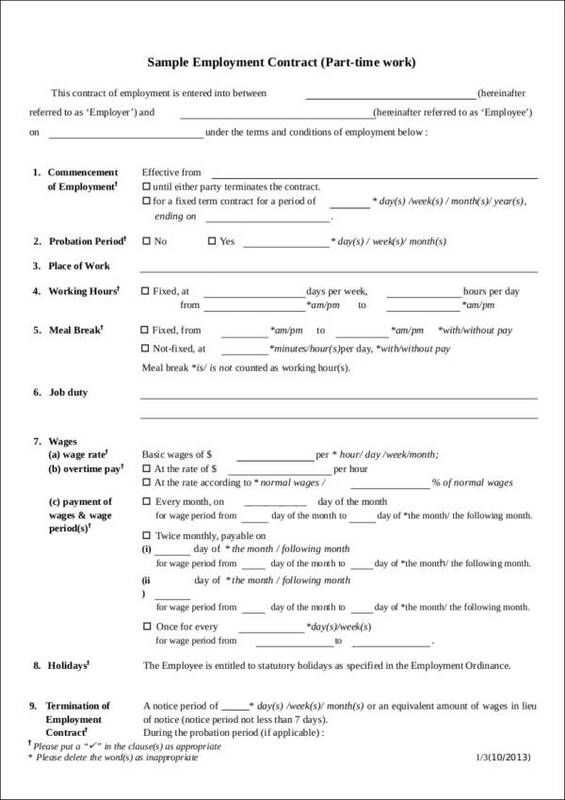 Employees are required to work for a specific number of hours and days in a week with overtime pay if applicable. Full-time employment contracts entitle employees to a lot of benefits and opportunities within the said company. Part-Time Employment Contract – Being a part-time employee means that you don’t work the same number of work hours and work days as full-time employees. The work arrangement varies depending on what the employer requires of the employee. Like a full-time employment contract, part-time contracts entitle employees with the same benefits. 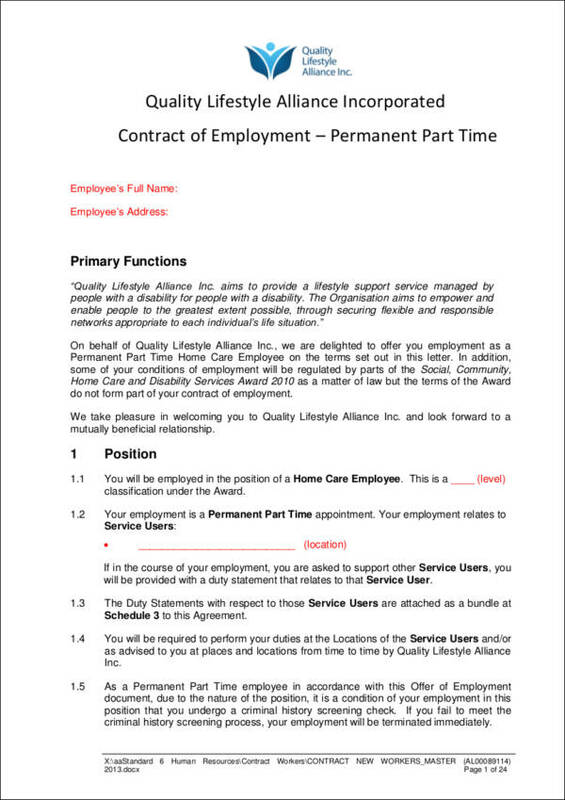 Employees in this contract may be given the chance to become full-time employees based on their experience. Director’s Service Agreement – When we say service agreements, it would mean a comprehensive and very detailed contract document. This is so because directors have unlimited access to a company’s financial resources and confidential information. In this type of contract, specific details like how the director should act and behave within the company are stated. There are a lot of restrictive covenants in a director’s service agreement. The scope and extent of their duties are also stated clearly. 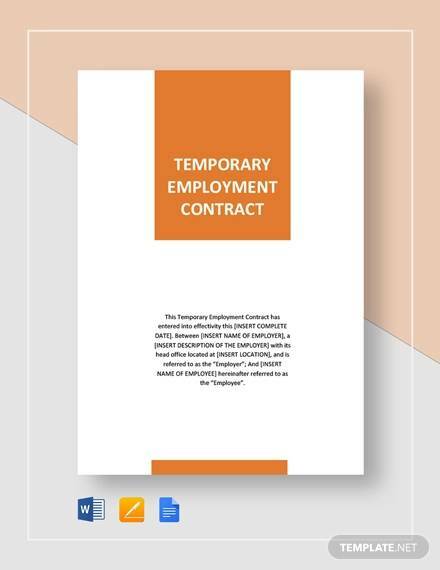 Fixed-Term Employment Contract – Temporary employees are under a fixed-term employment contract. 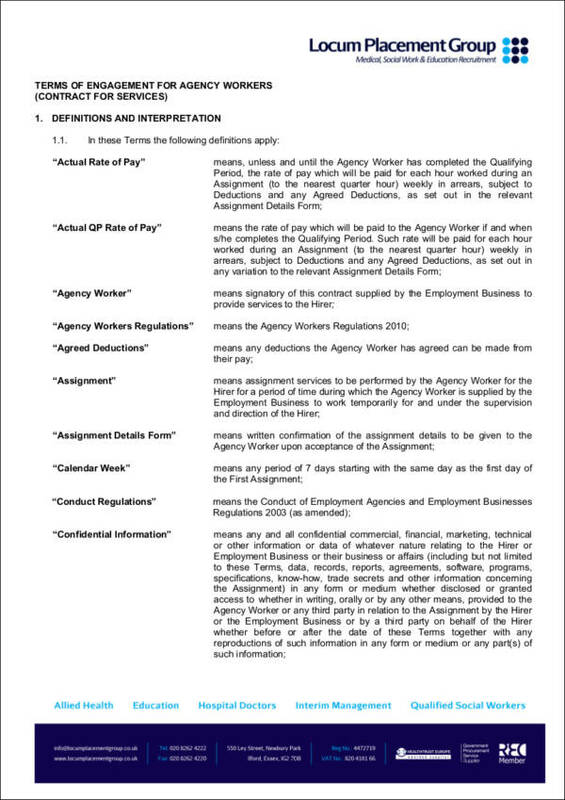 The contract specifies how long they will be working for the said employer. The length varies from a couple of days to how many years. Zero Hours Contract – In the usual employment contract, employers require their employees to come to work with the guarantee that they are provided with a certain amount of work that they need to carry out. In a zero hours contract however, the employer calls the employee to work even if there is no work waiting for them. This has been a controversial matter and the government has been working on implementing certain restrictions to the zero hours contract. Consultancy Agreement – This type of contract is used when a company or organization wishes to engage with the services of a consultant but not employ them in the company. Now that you know the different types of employment contracts, you are now able to make use of them appropriately. 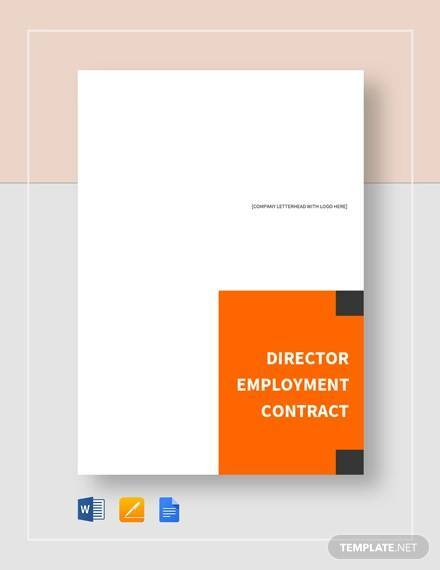 Check out more from our website for samples of the different types of employment contracts that we have available.